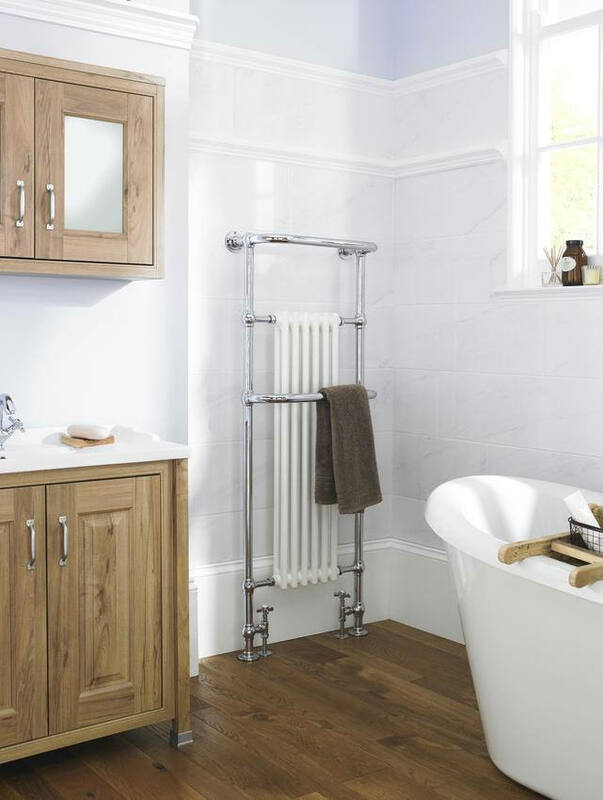 Hudson Reed gives you the chance to enjoy toasty, warm towels after every bath or shower-with the simple installation of Brampton Heated Towel Rail. 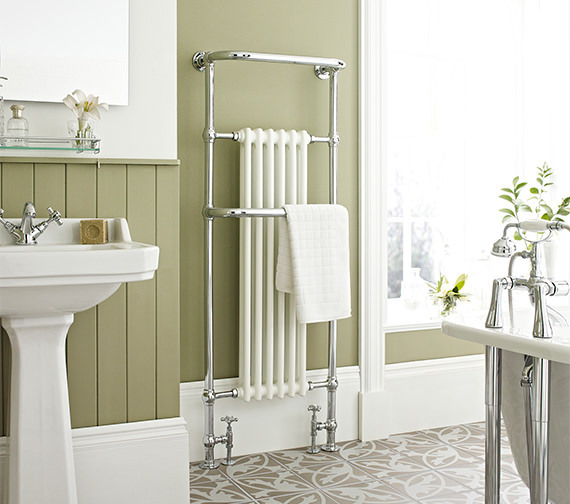 This floor-standing towel warmer comes in chrome finish and produces generous heat, to provide you with dry robes and towels. This functional heating solution is made from brass, carries a traditional design, and will please you aesthetically for numerous years down the line. QS Supplies stock and sell it at an economical price. 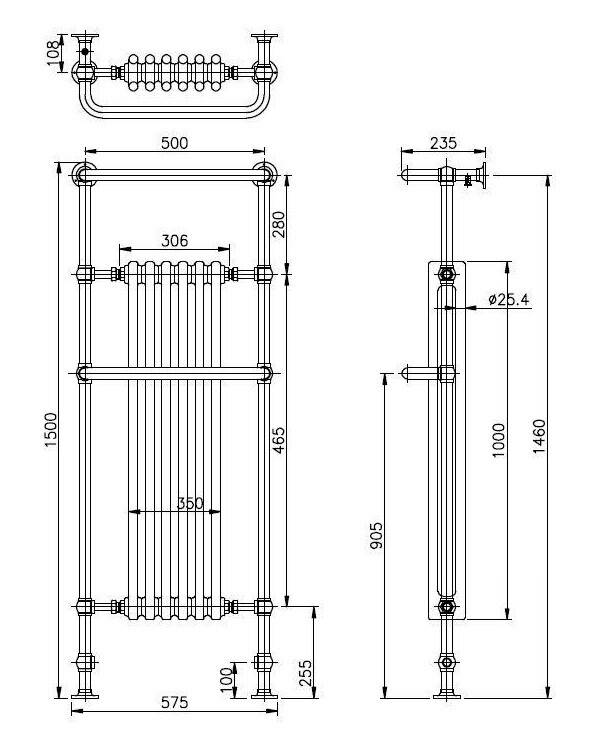 Hudson Reed Provides manual and thermostatic valves available for use in central heating system. Please Note: Image shown is just for illustration purpose only. 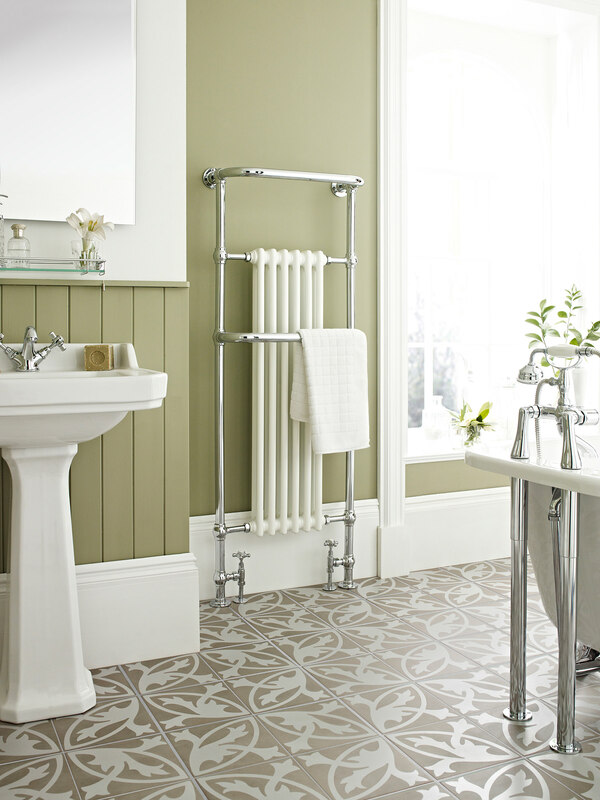 Decorative radiator pipes are designed to replace visible copper pipes. 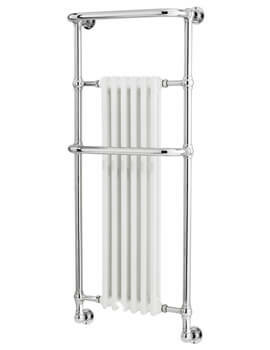 It can be cut down to size to fit your radiator. Please Note: Image is for illustration purpose only.